Arguably one of the most talented makeup artists in the region, Tiwa Lawrence has seen her work published in nationally published magazines. Furthermore, this Durham-based makeup artist has worked with some of the most reputed agencies in the country. A creative who enjoys adding her own personal taste to her work, Tiwa has worked with clients all over North Carolina. Her extensive knowledge and accreditation make her a more than competent makeup artist in Durham, NC. 18 is the number of years that Stephanie Sevilla has been a makeup artist. Recognized as one of the best Durham makeup artists thanks to her wealth of experience, Stephanie offers wedding hair and makeup services at affordable prices. Throughout her career, Stephanie has worked with top beauty brands such as MAC and Bobbi Brown. 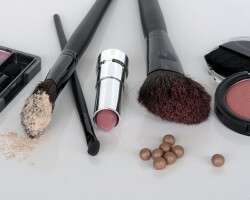 This has given her an edge when it comes to the application of makeup for different occasions. The lead makeup artist and owner of Face Artistry, Anjanette has been in the permanent makeup artistry and beauty industry for the last 19 years. Her competence is in the application of makeup for commercials, films, special occasions, and parties. Though she is based in the Raleigh-Durham metropolis area, Anjanette is willing to travel nationwide at the behest of a client. The company’s many positive reviews are a testament to its commitment to makeup excellence. Another trailblazing local makeup artist is Margo Cod-Williams. In her career, she has worked with famous personalities such as former secretary of State Colin Powell and Hall of Fame quarterback Joe Montana. Her experience and reputation in the makeup artistry industry led her to founding BelloViso. Through the latter makeup artistry firm, she has worked with brides from all over the state. Her work has graced the front pages of some of the most prestigious publications including Peoples Magazine. Professional makeup artist Denise Hutter has had 20 years to hone her craft. Hence, she is undoubtedly one of the best Durham makeup artists. An expert in airbrush and HD makeup, Denise founded Images by Denise a company that offers professional makeup services to both men and women. Her clients benefit from competitive full and half day rates; thus whether its bridal makeup or individual makeup, there is no task too simple or complex for Denise.